We are few weeks from the Brexit referendum and however you voted, the decision to leave the EU will have an impact on HR. We are looking at what the potential impacts are from a HR perspective. This was a big topic in the leave campaign, so now the decision to leave what does this mean for your current EU workers and the potential to recruit EU nationals in the future? The simple answer is we just do not know. It is unlikely that existing EU workers will be made to leave, but it is important to take time to reassure them and discuss their concerns. With regard to future recruitment, at the moment you can carry on as normal but be aware that this may change in the future. Many areas of UK employment law are derived from EU Directives, age discrimination, the working time regulations to name two. What will happen here? It is highly unlikely discrimination law will change, who would support encouraging discrimination? But there is potential for the working time regulations could change, for example the 48 hour working week cap could be removed, the UK is the only country that had the opt out and therefore something that could change. Holiday pay is another area influenced by the EU, specifically judgements from the European Court of Justice, which have yet to be implemented into UK legislation, this is a complex area and worth keeping an eye on. The referendum stirred up the nation and we are divided on the result. This has caused issues between friends, families and colleagues. As an employer, it is important you keep an eye on this and ensure employees are not being bullied due to their view or due to their race, nationality or ethnic origin. Any issues should be handled promptly and in line with your existing policies. 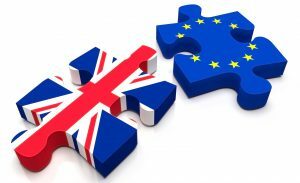 As details emerge on the impact of Brexit we will keep our clients informed and keep them up to date. If you would like to be kept up to date, contact us to be added to our mailing list. How to survive the Christmas party season from the HR perspective!